San Francisco-based artist David Tomb has loved birds since he was a young boy. Tomb said he was also interested in art at the same age—so it’s no surprise that he became intrigued by bird artists. 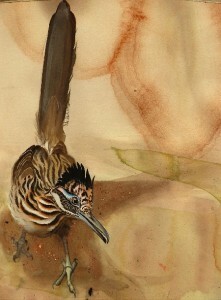 It’s also no surprise that winged creatures are the theme of his current exhibit, Borderland Birds, now showing at the Tucson Botanical Gardens’ Porter Hall Gallery.